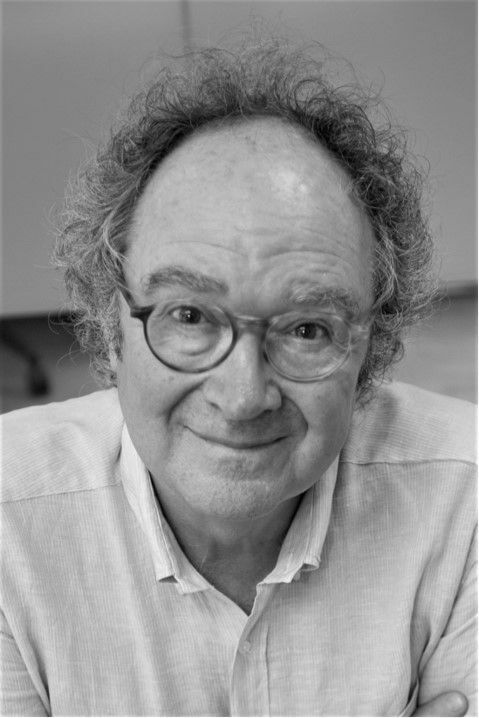 Josep M. Martí Font is a graduate in Law and Economics from Barcelona University. In 1984 he joined the staff of El País, a newspaper on which he has held many posts. Unlike other political movements that have been in power in Latin America throughout this century, Sergio Fajardo is clearly in the centre of the spectrum and defends this in his own way. “We’re an independent civic movement,” he explains. “We’re not defined by negation but rather construction. 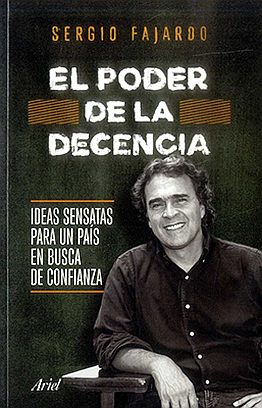 Some have defined us as the extreme centre and other just don’t know how to classify us.” His book, El poder de la decencia (The Power of Decency) (Ariel), in which he presents his public management project, is quite similar to Wittgenstein’s Tractatus; a sort of Tractatus on political ethics. Each chapter begins with a diagram and pedagogy is the order of the day. Sergio Fajardo (Medellín, 1956) was forty-four years old when he decided to enter politics. He was a university professor with a doctoral degree in Maths, a field that is clearly reflected in his programme. Not affiliated with any of the traditional parties, he became mayor of Medellín in 2004 leading a citizen movement and completely renewed a city that had entered a deep black period in the hands of drug cartels. He became a presidential candidate in 2010 alongside Green Party candidate Antanas Mockus, was governor of Antioquía between 2012 and 2015, and last May, he was 250,000 votes short of a second round in the presidential race against Iván Duque, whom the polls showed losing. The history of Colombia would now be on a different track. Fajardo was in Barcelona last October after being invited to participate in the Open City Biennial of Thought. Just as with his political actions, ideological debate is absent from his programme. In the second round of the most recent presidential elections in Colombia, you announced that you would cast a blank vote: neither for the candidate on the right, Iván Duque, nor the one on the left, Gustavo Petro. Is your movement post-ideological? Doesn’t the absence of ideological debate create a boundary? Political parties are in disgrace because of their inability to offer answers to the questions of our times. These are times of great unease where it’s quite easy to arouse resentment and appeal to the politics of emotions, but it’s not true that the only emotions one can have are anger-related. Reason is also an emotion; emotions of confidence and demand, but they’re also more demanding emotions. Trust is built over time. Anger is immediate. What we’ve done takes a lot of time. We’re a 21st century movement that’s not based on the ideological assumptions of the past. We’re not dragged down by baggage and political roots. The old parties have been relegated to a format that essentially seeks clientelism, how to win elections, how to access power and stay in it, and they haven’t understood that the world has changed, that the situation we’re in and the way people relate to each other are both very different. Traditional parties have aged, at least in Colombia. There has not been a generational change and I’m not seeing any responses from them to the challenges of these new times. The new alternative ways of doing politics are subject to ups and downs. The electoral and constitutional structures are designed for traditional parties which makes it very difficult to work on a national scale. Perhaps that’s why these movements are grassroots-based and that’s what makes them more interesting. They don’t start off by taking positions on the major social issues with a macro viewpoint. We grew in a city based on a local perspective and reached the nation. It’s a very different perspective on politics at the essence and because the contact with the people is in the neighbourhoods and in the municipalities. This is something we carry in our DNA unlike the old parties who see the world from a central seat of power. This is the assumption we started off with in a city like Medellín, breaking away with the old way of doing politics. We changed the language, changed the means of relating to people and began discussing the problems and inviting people to find and suggest solutions. On a national scale, we’ve applied the same principles, talking about specific issues, about how to build up our territory, about how to fight inequalities, etc. Do you feel comfortable being considered a centrist? I’ve been called tepid when what I do is simply focus on the problems and look for the best way to solve them. For example, we’d like to break the permanent structure of resentment and hate that has been the norm in Colombia, the culture of violence, considering those who don’t think like you as enemies. There are territories where the disappearance of the guerrilla has brought total change as if an eternal nightmare has ended. Paradoxically, the “no” won with overwhelming percentages in the referendum in some of these territories. I wondered how it could be possible that people who had the most to win with peace could be the ones to most heavily reject the peace treaty. I went out and talked to them. There were a lot of open wounds. They essentially did not want to see those who had kept them suffering and captivated for so many years walking around free in the streets. They couldn’t bear that idea. The malaise was so huge they voted ‘no’ fully knowing they would be the first to benefit from the peace process. A lot of education was needed. If I’m not able to understand that the person who voted against it is angry, I’m not going to understand what’s going on. I have to accept that they’re angry and, based on that, begin to look at how we can fix it. It’s very easy to foster violence in a society where the answer has always been violence. I don’t believe in the politicians that say: "I do what the people want". It’s still to be seen in Spain whether Podemos and the Comun parties are able to gain stable power in the upcoming elections. To what extent is it possible to jump from local to national and maintain the same model? I believe it’s possible and we’re quite close. The most aware of our citizens in Colombia understand change. The young generation is very different: intelligent, diverse, very valuable and it has the seed of what is now irreversible: the power of these alternative movements. For the first time ever in a presidential election, there were more votes for the non-traditional candidates than for the old parties. That had never happened before and it’s a very powerful message. What’s more, there was a referendum twenty days after the elections on corruption following a preliminary petition led by Claudia López, from the Green Alliance, a very important woman in today’s Colombia. This referendum was completely free of any conditioning factors because it had nothing to do with the electoral calendar. The necessary participation to impose a series of rules against political corruption was not reached by very little. It was a real surprise to see the mobilisation this issue could draw and it showed that there are many people participating in and considering politics from another perspective. There is an accumulation of very powerful signs which, in my opinion, show that change is irreversible. Yet, Iván Duque, the Uribist candidate, won just like Donald Trump in the United States and now, Bolsonaro in Brazil. There are more examples of how old politics or its populist re-incarnation continue controlling positions of power. Following a decade in Latin America of new governance models, the old conservative right, if not the ultraright, is back again. Don’t you think there is a regression to this end? “In Medellín, we broke away from the old way of doing politics. We changed the language and means of relating to people and began discussing the problems with them and inviting them to find and suggest solutions”. Yes, but the phenomenon is Colombia is different and what’s being systematically seen is free citizenship. We’ve gone from isolated cases, of mayors, of departmental presidents, to reaching national results that announce a change in paradigm. Uribism still has undeniable power which can be seen in the victory of the “no” vote in the referendum on the peace process which we experienced with great frustration and enormous deception. But, I’m optimist. I can see how the changes we’re making fit with the new Colombia, with this more educated younger generation. In a society as chauvinistic as Colombian society, there has been a radical change in the young generation as concerns the equality of women. Transformation is not possible without empowerment. The FARC and guerrillas, which have marked Colombian society for decades and determined how politics was done, is becoming a thing of the past. Now citizenship has arrived. Where exactly is the peace process at the moment? There’s a lot of uncertainty. For the first time ever, we lost a great opportunity to come together around something positive, a common project which was to build peace. Colombia was united against narcotrafficking because all Colombians were against narcotrafficking and the same happened with the guerrillas in general terms. And when we were just about the have something that would allow us to not only defend ourselves but build ourselves up, which is what the peace agreement was going to give us, we were not able to do it. When the “no” vote won in the 2016 referendum, Juan Manuel Santos’s government still had time to make some adjustments; they answered some of the concerns of those who voted against it and the Peace Agreement finally passed Congress. However, the Uribists who were then in the opposition and had promoted the “no” vote, continued criticizing the process and putting up obstacles. Santos ended his mandate without having made any progress on implementing the peace agreements and then Duque arrived and he’s against it. There is a lot of pressure from all directions, but the truth is we’re in confusing times, a sort of limbo. What would be the most urgent intervention? The narcotrafficking issue has come into play with the coca crops and how to implement the rural development models so the people in the areas once occupied by the guerrilla can plant substitute crops. This requires economic resources and right now, everything is paralysed. I’m concerned that, if the State does not reach them soon, the territories once under the power of the FARC and which suffered from political violence will again fall into the hands of the narcotraffickers and in other types of violence that are just as damaging for the country. A quick signal needs to be sent and that is not happening. Why did the “no” vote win? In my opinion, the big mistake made by government under Santos, as the person who had the ability to negotiate- although negotiating is one thing and building peace is another- was that there was no pedagogy related to peace, no reasons were given for coming to an agreement with the guerrilla, we were not told that it would help us revise our values as a society and the way in which we had related to each other for fifty years. None of that was done. The system used during the negotiations was: nothing has been agreed until everything is agreed. It was all very secretive. The opportunity was lost to explain to Colombia how the country worked. We must remember that the two sides signed for peace in advance, with only one week left for the referendum on the Peace Agreement. Many people wondered: why do a referendum if they’ve already signed an agreement? Did some of Colombian society just stay out of it all? The war was already quite far away from the urban centres. For many Colombians, thinking about what was happening in the guerrilla zones had nothing to do with their daily lives, it was very remote. A large part of Colombian society believed they were already living in peace because the hostilities were even already disappearing as the process was negotiated. No story was created for our citizens to explain the role of violence in people’s daily lives, in their co-existence. No one explained to us –and this is the government’s fault– what it would mean for the State to occupy territories that had been outside of it. Colombia is very big and the State had to reach those territories and have a presence in very abandoned areas. And it did not do anything in this sense. Peace seems to arrive when a treaty is signed, but the reality is that it’s built on the ground, with relations, with specific actions. What changes are occurring in Colombia outside the treaty? The group led by former President Uribe was against the negotiations initiated by Santos, his own former Minister of Defence. They both had the same ideological origins. Uribe rose up against the process and was constantly pointing out the harshest issues, the bloodiest wounds... and that quickly found an echo because everything really was quite painful and it’s very easy to highlight contradictions that arise in a peace process. The people should have been told what transitional justice is, but Uribe and his people insisted on the guerrilleros paying for their crimes. The people should have been told that we were in the middle of negotiations and it was necessary to make certain concessions on certain judicial aspects to move a very delicate and very complex process forward. Nobody did any of this and that was one of the reasons for the “no”. But, there have been perceivable changes. Yes. There are many less murders nowadays in Colombia, which is obvious progress. There’s no doubt the violence associated with the guerrillas has basically disappeared. There have been some episodes involving dissidents, but they are more related to narcotrafficking. There have been improvements, but we’ve come up short, very short. This new Uribist government still doesn’t know if it’s moving forward or not; whether to make good on what was signed or let it all wither away. Education on the transformation so we can look at ourselves in a new light is pending. We still have to learn to be different without being enemies. In Colombia, anyone who is different becomes an enemy. We’ve fallen into a state of permanent tension that we don’t know how to get out of. Are you in favour of legalising drugs? I think the solution eventually must be legalisation. But, there’s still a lot to do before we get there, at least in Colombia. There has been progress in the world. The legalisation of marijuana and cannabis in Canada and in Uruguay was unconceivable just a few years back. Societies are beginning to understand drug use as an individual civic responsibility in the sense that it’s a public health issue as well as an issue of education and knowledge. But, right now, growing them is associated with extreme criminality. The relationship between narcotrafficking and the cultivation of drug crops and politics has gone through different stages. Paramilitarism was associated with what was once known as parapolitics and it mainly occurred on a municipal and regional scale; it permeated the political class which lost all types of values. This is changing now. It hasn’t stopped existing, but the country is learning. Narcotrafficking has also mutated and gone about adapting. It began with the cartel, especially the one in my city, Medellín, and then the Cali one came as well as other forms of organisation. There are no large cartels anymore or big capos; they’re low-profile organisations that know how to interact and hide and their relationship with politics is weaker. Society has reacted. The audio-visual, film and television industries have found a gold mine in narco adventures. Are you concerned by this trivialization of one of your major problems by the media? My great concern with narcotrafficking is that we’re not occupying the territory the guerrilla left. This is the biggest weakness in the peace process; abandoning the people in those places. If they aren’t given any help, if the State does not occupy that territory, they’re going to be disappointed by the process and will again fall into the hands of narcotrafficking groups. Both the current Colombian government and the one in the United States are reflecting an ambiguous and undefined attitude and, at times, it seems they are trying to go back to the old model of repression and fumigation, the results of which we’ve already seen and that could really harm the future of those communities. On the other hand, I’m not all that concerned about what Netflix or the film industry does with our history because it’s our history and that’s it. It may be irritating at times, but the truth is we cannot deny the existence of someone who once existed and the entire planet knows. The whole thing will eventually get old. What we do have to do is demonstrate how we’re changing; how Medellín, for example, has become another place, the place where our movement began. It’s true that we’ve had to bear incredible things yet, except for a few situations, I don’t believe politics right now is in any way related to narcotrafficking but rather the current problem is corruption and the misappropriation of public resources. Clientelism is the boss in Colombia. It’s a vicious circle. One of the biggest disappointments has been learning how the judiciary has also been impregnated by corruption. There has been talk lately of reforming the justice system which means that those in power already know citizens know. I hope these reforms happen soon, especially as concerns the separation of powers. They are formally separated, but corruption joined them together. Corruption in Colombia is called clientelism and it’s a chain that extends from the presidency in Bogota all the way to the very last corner in the country and the political class’s goal is to keep a hold on this central power. How does the cities system work in Colombia? Are there large institutionalised urban areas? Colombia is a municipalist country. Significant change began at the end of the last century when direct elections were introduced for mayor. However, the municipalities have a lot of autonomy and that makes it very difficult for them to interact. They’re too often incapable of approaching common problems. We have very few metropolitan areas. In fact, the one that works the best is Medellín; the Metropolitan Area of the Valley of Aburrá, which exists institutionally and administratively and which, despite our traditional inability to work together to coordinate joint tasks, has shown positive results. But Medellín is the exception. It’s not Bogota. Colombia is very different from other South American countries. It has a very powerful capital city, Bogota, surrounded by many municipalities that have not been able to unite. But, it also has many other large cities besides the capital. And there has been great emigration from the countryside to the cities. Currently, nearly 80% of the population lives in cities and this has a lot to do with the violence. Violence is what has pushed emigration to cities and taking advantage of the job opportunities available. Violence is what has made it impossible to handle the agricultural issue, the territorial organisation problem. The State never had a presence in the territory as it should have. The urban challenges of integrating these masses of population which have come into the cities are immense. The other very important issue, which is easier to understand, is environmental. It’s becoming really powerful in a country that up until now had ignored it despite having one of the largest biodiversity reserves on the planet.